The last time I was with my Dad, I was 5 months old. Since I’ve seen photos of him, I knew he existed. 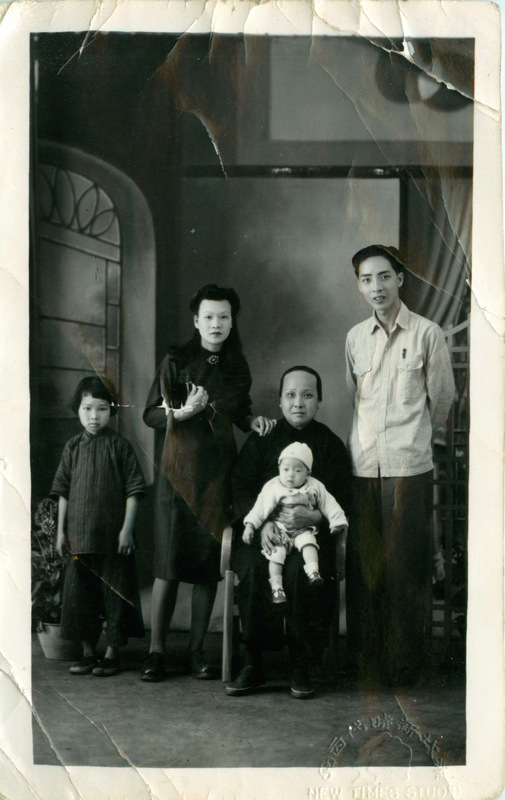 When my family immigrated to Canada 56 years ago, he stayed in China with my oldest sister. His arrival to Canada was coming later. I never knew anything about him. I didn’t know what he did for a living; why he didn’t come with us or if he even thought of us. It was at my paternal Grandfather’s funeral, that I found out my Father had passed away years before. My mother is not a talkative person. In my younger days, I use to prod her with questions about him and she never responded with any details. I wasn’t fluent in Chinese and she wasn’t fluent in English. I use to dream up fantasy stories: he was a spy, he was royalty… Once I got into my teens and my oldest sister arrived without him, I realized he was never going to show up. I stopped thinking about him. Over the years, I watched how my daughter Amber takes after her Dad in more ways than she takes after me. These character traits, just like physical traits, cannot be denied that they are handed down from generation to generation. Recently I was asked if I ever thought what my Dad was like. I didn’t hesitate, “He was me”. Unlike my Mother and siblings, I could only surmise that I took after my Dad. So, I guess I knew my Dad. I knew him better than anyone.